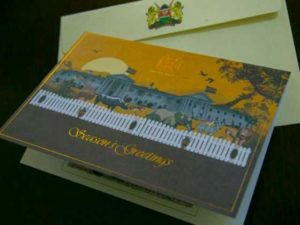 President Uhuru has just sent some warm Christmas greetings and New year best wishes to Millie, disregarding the bitter insults hurled at him by the legislator within the National Assembly precincts.The card embossed in gold reminded Millie that Christmas was here again, and provided a ­time to remember and apply shared love of compassion, sharing and communion. “We share this holiday with all people of all persuasions because what we celebrate are cherished universal human impulses,” wrote President Uhuru. 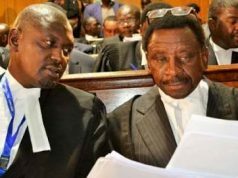 “Often what we see as our differences are only expressions of problems that can be resolved through a commitment to goodwill, love peace and unity,” states Uhuru.